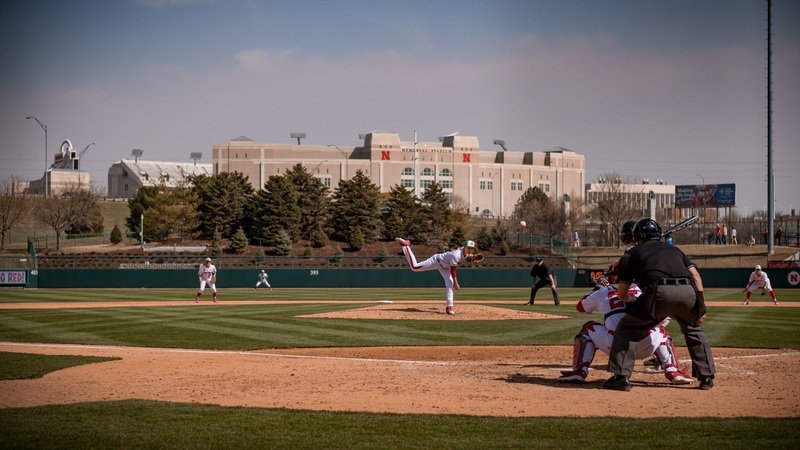 Lincoln may be covered with snow, but the Nebraska baseball team is only three weeks away from the start of the 2019 season. The Huskers are practicing in the Hawks Championship Center for the time being before heading west to warmer weather and their season opener. “Leadership behind the plate” is also a focus for Roskam this year. “I really want to take my catching game to the next level,” he said. “Pitching” was the answer Roskam and Altavilla both gave when asked what made this team exciting on paper. Erstad also talked about looking forward to getting pitchers back healthy. “Just be Angelo.” Erstad said last spring that Altavilla was trying to do too much. Erstad is “very confident” in Nebraska’s ability to play defense. “We’ve done it at a pretty high level since weve been here,” Erstad said. “Last year it was as bad news bear-ish as you could ever imagine, it was not good. We found many ways to lose, I can tell you this much though is that it was not lack of effort, they could’ve gone through the motions, but they were battling tooth and nail all the way, this team never shut it down and stopped playing. I like that. Nebraska opens the season Friday, Feb. 15 at UC Riverside.